The British Columbia resident will contribute a regular feature to the magazine and produce a bi-weekly blog for its website, http://www.insidemotorcycles.com. He will also continue to work freelance as a senior editor for Los Angeles-based Sport Rider magazine, where he has worked since 1999. Trevitt’s first contribution to Inside Motorcycles will appear in the February/March, 2012 issue, which is due to hit newsstands imminently. “I’m thrilled to welcome Andrew back to Canada and to the Inside Motorcycles team,” stated Inside Motorcycles managing editor Graeme Jones. “I’ve been a fan of his writing for many years. A native of Ottawa, Trevitt started racing at Shannonville Motorsport Park in 1982 and claimed several RACE regional championships at the track, including the 1992 Formula RACE feature title aboard Yamaha TZ250s. He also enjoyed a handful of top 10 finishes in AMA 250GP competition. In 1996 Trevitt switched to four-stroke machinery and competed aboard his own Honda CBR900RR. The following year he rode for Suzuki Canada in the national series, racing in both the Superbike and Sport Bike divisions. Following his racing career he moved to Los Angeles to work for Sport Rider, first as an associate editor and then senior editor. Now in its 14th year of publication, Inside Motorcycles covers motorcycling with a Canadian focus. The magazine features new model tests, product reviews, industry news, opinion pieces and coverage of all types of motorcycle racing. 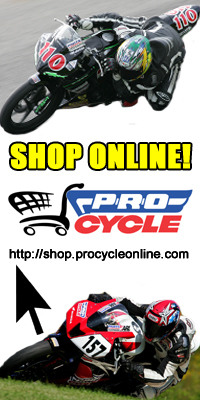 More information is available at http://www.insidemotorcycles.com. Posted on February 2, 2012, in General Motorcycle News, Uncategorized. Bookmark the permalink. Leave a comment.